Hold other beads firmly in place with this smart bead. Smart beads have a silicone center that gives them a snug fit over various materials. This bead has a tight fit that works well with our 2mm bracelets and necklaces. Keep other beads in place with the help of this sterling silver 3mm roundel smart bead. This bead features a classic roundel shape, so it's perfect for using as a spacer. The inside of the bead is lined with rubber, so once you slide it onto designs, it will keep other beads in place. Its wide stringing hole makes it perfect for use with thicker stringing materials. Best of all, this bead features a shining silver color, so you can use it with any color palette. This shiny round sterling silver smart bead comes with a 3mm hole size, allowing you use on a variety of stringing materials. Smart Beads firmly clutch chain, wire, leather, or fibers with their silicone-lined Bead Positioning System. The designer can slide them to any point in their design and reposition if the placement is not just right. Smart Beads' inner liner will hold the bead wherever it is positioned. This Smart Bead would work great to hold large-hole beads in place. This Smart Bead will firmly clutch chain, wire, leather, or fibers thanks to the silicone-lined Bead Positioning System. You can slide this bead to any point in your design and reposition if the placement is not just right. The inner liner of the Smart Bead will hold the bead wherever it is positioned. Smart Beads are a great option for holding ear threads into place. This Smart Bead is versatile in size and features a regal golden shine. You'll flip for this smart bead. Smart beads feature a lining comprised of silicone, providing a tight grip on chain, wire, leather and other fibers. Use this shiny gold bead in a necklace or bracelet with any number of colors in need of a warm touch. This bead features a regal golden shine that will add classic style to any look. This versatile bead is a great choice for necklaces, bracelets, and even earrings. This Smart Bead will firmly clutch chain, wire, leather, or fibers thanks to the silicone-lined Bead Positioning System. You can slide this bead to any point in your design and reposition if the placement is not just right. The inner liner of the Smart Bead will hold the bead wherever it is positioned. Smart Beads are a great option for holding ear threads into place. This bead features a versatile size that you can use anywhere. The brilliant silver shine will look good with any color palette. This Smart Bead will firmly clutch your chosen stringing material with their silicone lined Bead Positioning System. You can slide it to any point in your design and reposition if the placement is not just right. The Smart Bead's inner liner will hold the bead wherever it is positioned. Smart Beads are great for holding ear threads into place, too. They are especially useful when you have only a few large-hole beads on a bracelet that you want to keep in place. 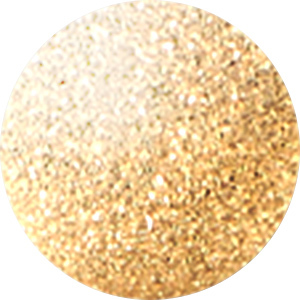 This small bead features a beautiful golden shine that will add elegance to your looks. This bead combines the glittering surface of a stardust bead and the usefulness of a Smart Bead into one. Slide this high-quality sterling silver bead over various stringing materials to hold other beads in place. Smart Beads firmly clutch chain, wire, leather, or fibers with their silicone lined Bead Positioning System. The designer can slide them to any point in their design and reposition if the placement is not just right. This Smart Bead will firmly clutch your chosen stringing material with their silicone lined Bead Positioning System. You can slide it to any point in your design and reposition if the placement is not just right. The Smart Bead's inner liner will hold the bead wherever it is positioned. Smart Beads are great for holding ear threads into place, too. They are especially useful when you have only a few large-hole beads on a bracelet that you want to keep in place. This small bead features a beautiful silver shine full of versatility. This Smart Bead will firmly clutch chain, wire, leather, or fibers thanks to the silicone-lined Bead Positioning System. You can slide this bead to any point in your design and reposition if the placement is not just right. The inner liner of the Smart Bead will hold the bead wherever it is positioned. Smart Beads are a great option for holding ear threads into place. This smart bead features a versatile size that will work in necklaces, bracelets, and earrings. It features a regal golden shine.